Before / After: Mr. Wood from Geneva, IL was requesting a stair lift to get up to the second floor of his home. Our very own Jorge Villanueva was able to offer a cost effective solution and a beautiful installation of the Simplicity Stair Lift! For most people, accessing the second floor of their home is crucial to their betterment of life. They can take showers, sleep in their own bedrooms, use an actual bathroom, and most importantly not have to move to another house or an assisted living facility. We provide Access and Independence with Dignity! 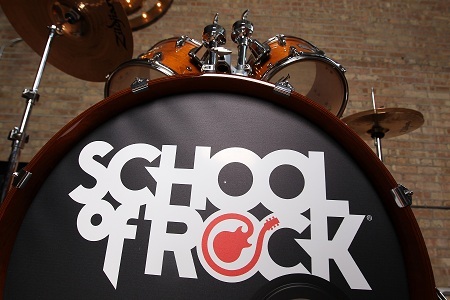 StairliftNOW Teams together with School of Rock! "The more we started to discuss options for accessibility, the more I realized that I wanted to help in a big way"
I remember getting the call from Marissa at School of Rock in Glen Ellyn, IL. She mentioned that there was one kid in particular (a guitar player) who was in a wheelchair and needed access to the stage for the big event! 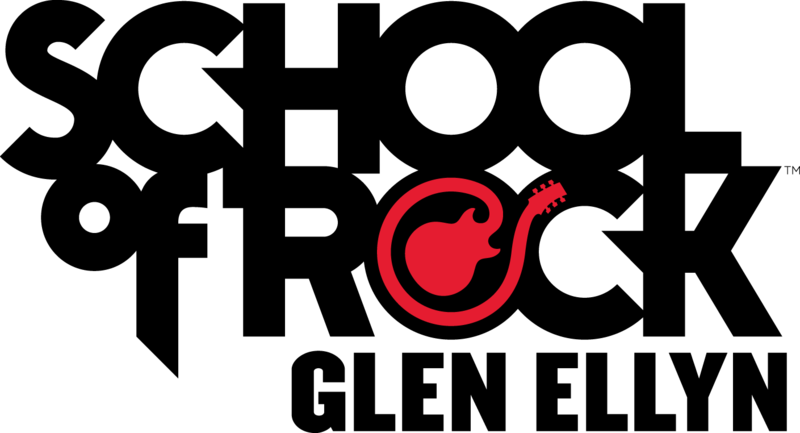 Being a music fan and a guitar player myself, I was excited to hear more and find out different ways that we could help. At first we knocked around the idea of renting a modular ramp. A Modular ramp is one that we come out and construct on site. That idea was short lived because in reality they only needed the ramp for one day. So, we discussed the idea of renting or purchasing a portable ramp for one day, and it appeared that was the best option. However, the more we started to discuss options for accessibility, the more I realized that I wanted to help in a big way. 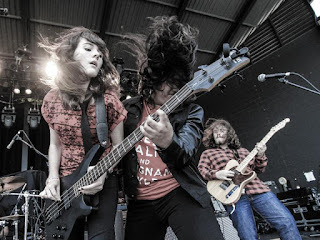 Now, anytime they have a musician that requires accessibility for the BIG SHOW, they can pull out the portable ramp and Rock out in the Limelight without any hindrances whatsoever! Moral of the story: Helping others is something that will always help you. "The chair lift is AWESOME! It is so much safer for both my mom and myself. She really struggled on stairs and now she just presses a button. I originally started looking into ramps but we just didn't have the room and then Troy suggested the stair lift. I didn't even know they could be installed outside! $5K more than the lift we had put in. There were a couple of issues during the installation but Carlos called me and everything was taken care of perfectly. The installers were professional and Ryan was so thorough in explaining everything. You can tell he really loves working for your company. I will recommend your company to everyone that would need your services. I am pleased beyond words. We are VERY EXCITED to be participating in this years American Diabetes Expo at the McCormick Place in Chicago, IL! The event will take place on April 9th from 10:00am to 4:00pm. This is a free event. Please register by clicking on the picture above. We will be doing three giveaways as a way of celebrating StairLiftNOW's efforts in providing all of our customers with dignity when it comes to access and independence! Please be sure to visit our table so that you can drop your name in our drawing box. We look forward to seeing all of you! This will be a great day that is supporting an even greater cause. "Thank you Carlos and everyone one at RampNow! I had two companies come out for an estimate and what I liked about the person you guys sent out was that he was the actual installer and not a sales person. He knew exactly what was going to be done. He had answers to my questions without having to check with someone else and get back to me. We are very happy with the end result and the family is more at ease knowing that my mother can easily get up and down the stairs!" 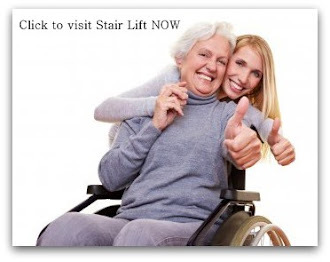 I am very happy with the two stair lifts that your company installed. It has made a huge difference in my Mother’s life. The guys that came out to install the lift were very polite the cleaned up after themselves and were very knowledgeable about the product. They took the time to go over everything and answer all my questions. I am very happy with the Refurbished Sterling 950 stair lift. It has made a world of a difference for my wife. She is now able to come down the stairs and go outside. She can go to book club and shopping with me. She was terrified of the stairs since she fell down them and broke her hip. The installers were great and did a great job explaining to me how it worked and took the time to answer all my questions.